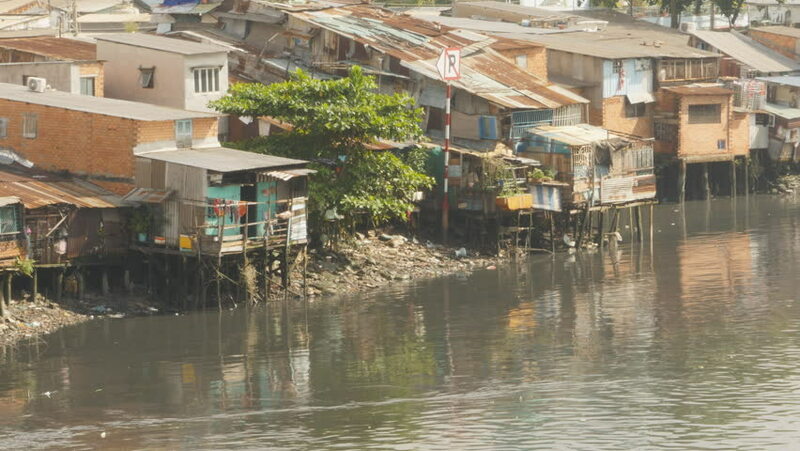 Slum on the river. Saigon. Vietnam. 6 View. hd00:07Hong Kong - February 2011: Stilt houses and fishing boats in harbour of Tai O village in Hong Kong. 4k00:15Damnoen Saduak, Thailand - April 1, 2018 : Entry gate to the famous floating market in Thailand, visited by many tourists by boat.